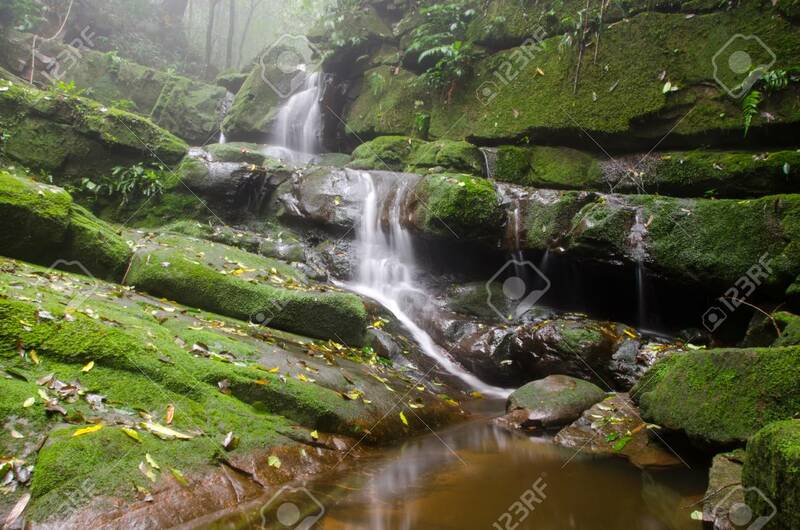 Sai Thaip Waterfall With Stone Of Green Moss In Rain Forest ,.. Stock Photo, Picture And Royalty Free Image. Image 106935960. Stock Photo - Sai Thaip waterfall with stone of green moss in rain forest , Phu Soi Dao National Park, Utaradit, Thailand. Sai Thaip waterfall with stone of green moss in rain forest , Phu Soi Dao National Park, Utaradit, Thailand.